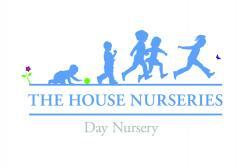 The House Nurseries consist of Northcote House Nursery and Bennerley House Pre-prep. Northcote House is a private day care Nursery situated on Salcott Road with our linked Pre-prep, Bennerley House, located on the adjacent Bennerley Road. Our Nursery and Pre-prep are conveniently located for both local residents and commuters into central London. We are open full-time from 8:00am – 7:00pm caring for children from 3 months to 5 years. We adhere to the strict standards set by Ofsted working within the EYFS (Early Years Foundation Stage) curriculum.